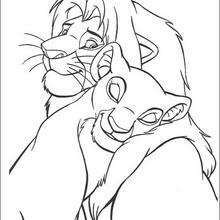 The Lion King is about Simba, a newborn cub of King Mufasa, who will eventually become king of the Pride Lands. 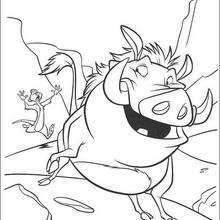 Mufasa takes him exploring the Pride Lands and teaches him about "the circle of life." 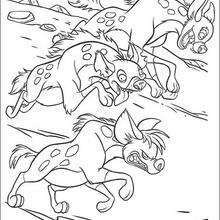 Meanwhile, King Mufsa's brother, Scar, devises a plan with the Hyenas to replace Mufasa, himself asking. 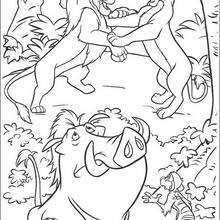 Simba is led to believe he killed his father and runs away for years feeling full of shame. 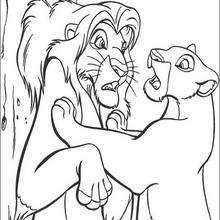 Simba eventually learns to face life and take responsibility to the throne that is rightfully his. 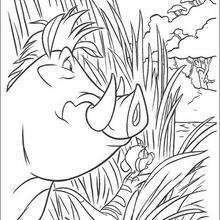 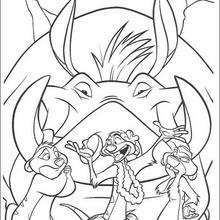 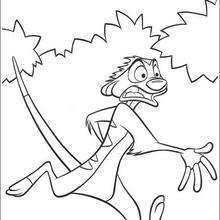 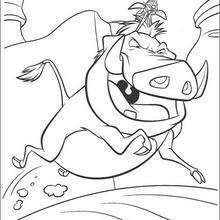 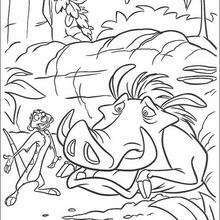 Color Timon Riding Pumbaa or one of the other The Lion King coloring pages in this section. 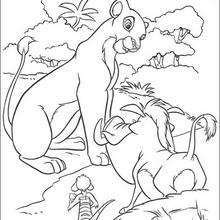 Decorate your design online with the interactive coloring machine or print to color at home. 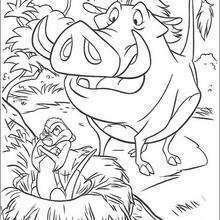 Discover a kingdom of Disney coloring pages, fun activities and videos for you to enjoy from Hellokids.